Naoko Yamada directs this anime feature adaptation of the manga by Yoshitoki Oima. 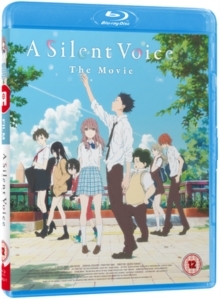 Nishimiya Shoko (voice of Saori Hayami) is a high school student who struggles with her hearing impairment. At school, she is often bullied by Ishida Shouya (Miyu Irino) and, as a result, decides to change schools. After having many years to consider his actions, Shouya, now a grown man, seeks redemption from those he has hurt.